HOUSTON, September 22, 2015 – Sentai Filmworks is proud to announce its latest acquisition, Re:␣Hamatora. The first season was enveloped in mystery and came to a shocking end -- but that was only the beginning. 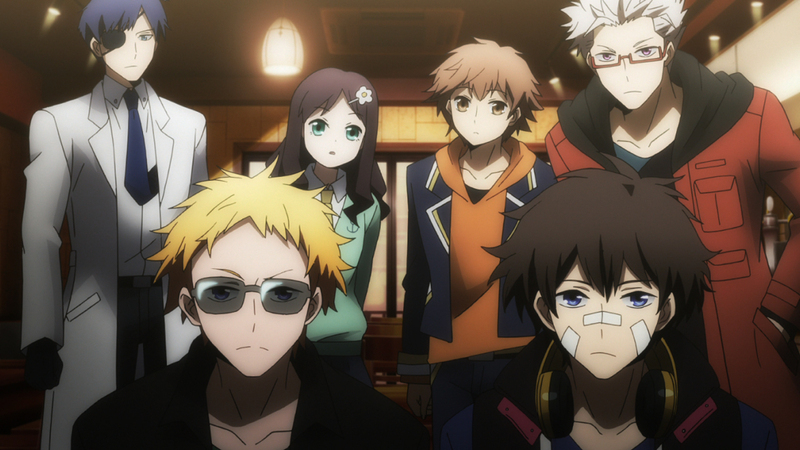 It's been three months since the Yokohama Riots, and the Hamatora detectives believe things are back to normal. But these troubled characters, still reeling from the events of last season, will have to reply when a mystery that was cloaked in darkness comes to light. Seiji Kishi (Persona4 the ANIMATION, Angel Beats!) reprised his role as director for this second season of the Hamatora series, based on an original concept by Yuki Kodama and Natsu Matsumai. Jun Kumagi (series composition: Persona4 the Golden ANIMATION; script: Aquarion Logos) handled series composition. Sound direction was handled by Satoki Iida (Persona4 the ANIMATION, Angel Beats! ), in corporation with NAZ Inc (Animation Supervision), and animation production provided by Lerche, known for their work on Danganronpa and SCHOOL-LIVE. Re:␣Hamatora is now available domestically through select digital outlets with a home video release to follow. For Sentai Filmworks’ latest announcements regarding this title and other great programming, be sure to like us on Facebook and follow us on Twitter. Sentai Filmworks curates one of largest and most beloved anime and genre programming libraries, containing thousands of hours of content released across traditional and digital media platforms. With hit series that include Parasyte –the maxim–, Log Horizon, High School of the Dead, Persona 4: The Animation, and Akame ga Kill!, Sentai’s catalogue continues to grow with new favorites like Is it Wrong to Try to Pick Up Girls in a Dungeon? and iconic anime series such as Legend of the Galactic Heroes. Visit www.sentaifilmworks.com for more information.